Free moving trucks and drivers are available at most of our facilities. 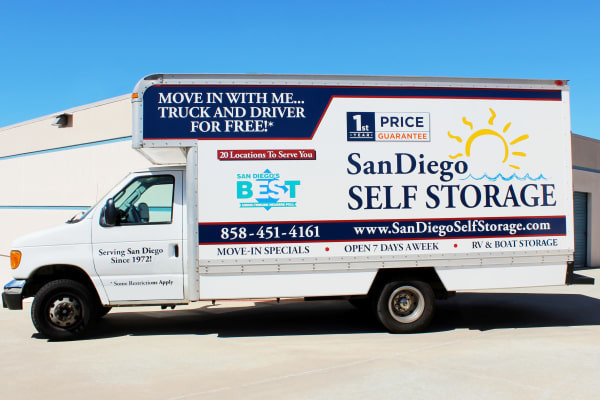 We will schedule a truck run at your convenience, and our driver will drive our large moving truck to your location. All you need to do is load it up, and then we will drive the truck to the facility. Please contact a location nearest to you and find out more about FREE use of our truck with driver.